November 30, 2013  If you're a woman, you're probably paid less than your male colleagues — 77 cents on the dollar, to be exact. Now Boston thinks it has a solution to eradicate the wage gap. It starts with getting businesses to sign a pledge. November 30, 2013  The infomercial industry is predicted to hit $250 billion — 1 percent of U.S. GDP. Host Scott Simon speaks with business writer Jon Nathanson about the economics and enduring strength of infomercials. 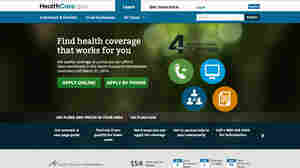 November 30, 2013  HealthCare.gov is supposed to be mostly fixed by Saturday, but errors in an obscure but crucial form could further disrupt the rollout. November 30, 2013  Tucked between Gray Thursday, Black Friday and Cyber Monday is Small Business Saturday. It's a designation invented by American Express, but it's becoming vital to small businesses around the country. 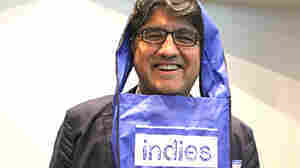 November 30, 2013  Small Business Saturday is this weekend, but for author Sherman Alexie, it's also Small Bookstore Saturday. He's encouraging authors across the country to visit their local independent bookstores and put in a shift behind the counter, selling their favorite titles. November 29, 2013  Cider is still a small part of the overall alcohol market, but it's growing faster than any other category — and not just the hot mulled stuff that steams up your kitchen. This cider is more like sparkling wine. 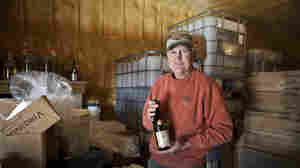 Some of it is made with the same apple varieties, and in the same style, as the cider bottled by Thomas Jefferson. November 29, 2013  Manufacturers in Oregon want to hire high school students. But they don't want the kinds of high school students that colleges are after — the kind who have amazing test scores and will spend hours perfecting essays. They want teenagers who want to paint, weld and work with their hands. The hope is that those teens will turn into enthusiastic workers in an industry where the current workforce is headed toward retirement. 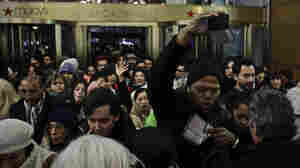 November 29, 2013  Black Friday, the day after Thanksgiving, is one the busiest, most hectic shopping day of the year. But how important is it for retailers and as an indicator of the strength of the holiday shopping season? November 29, 2013  Ari Shapiro talks with Wall Street Journal reporter Suzanne Kapner about the fake discounts retailers build into their products during the holiday season. November 29, 2013  More and more towns are hosting festivals to bring extra money into the area. But these attractions can be disruptive, and one town in Michigan isn't sure it wants any more. 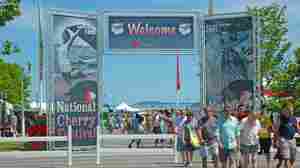 Traverse City is looking at new restrictions to cure "festival fatigue," to the dismay of the business community. November 29, 2013  This year many retailers were open for business on Thanksgiving Day. Spending this year is expected to be up from last year's $810 million — but not sharply. November 29, 2013  Movie theater seats are getting more deluxe. A couple chains are installing recliners in the latest effort to give movie goers more of the comforts of home. November 29, 2013  Officially it's called Haymarket Check. The iconic tan, black and red tartan is best known as the symbol of the Burberry brand, the British fashion house came up with it a century ago. Chinese officials have decided to revoke Burberry's tartan trademark. November 29, 2013  As the unofficial start of the holiday shopping season arrives earlier and earlier, the door-buster sales are beginning to cut into retailers' bottom lines. Black Friday comes at a time when some of the biggest retailers such as J.C. Penney and Sears are hurting. November 29, 2013  In the first month of the federal health insurance exchange, about 1,400 people in Georgia signed up for insurance. One of those is Michael Lappin of Atlanta. He not only has better coverage now, but Lappin says he's saving thousands of dollars.